PRODUCT DESCRIPTION: Round trap which features both a food lure and a pheromone based attractant. It’s a flat trap which sits with a low profile ideal for cabinets and pantries. 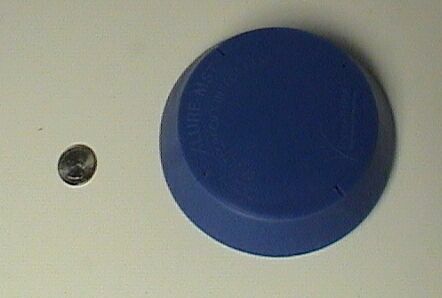 Pests enter by passing under the cap which is set above the center base and serves as a cover for the trap. This cover keeps out dust and contaminates. Once pests enter, they will forage up and into a sticky oil like goo which will keeps them contained. WHERE TO USE IT: Kitchens, pantries and any where active pests are noted. RATE OF APPLICATION: Set one trap out each 100 sq/ft of surface area. Most kitchens will require 2 or more traps but they can be used in garages, bedrooms, pantries or anywhere pests are found.